HABIT: Vertical flower stalks of white, rose, pink, blue, and purple in summer. 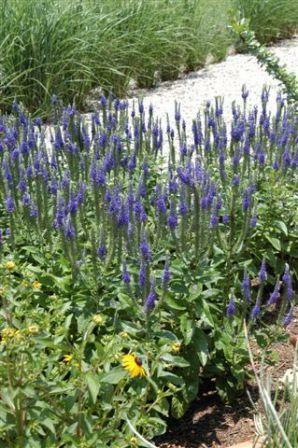 CULTURE:: Long lasting colorful perennial blooms when planted in loose, well-drained beds. Gray green leaves. NOTES: Cut back after heavy flush of bloom for more bloom.